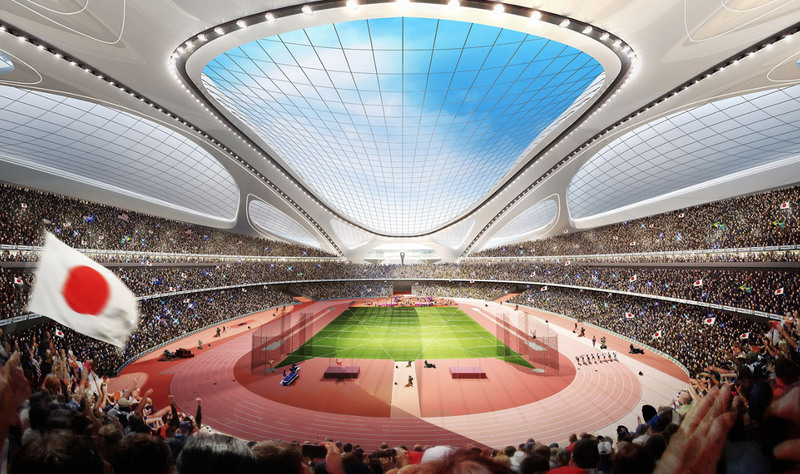 Japan’s successful bids to host the Rugby World Cup in 2019 and the Olympic Games in 2020 included a commitment to rebuild Kasumigaoka national stadium where Japan hosted the 1964 Tokyo Olympic Games. In November 2012, Zaha Hadid Architects won an international design competition run by the Japan Sport Council for a futuristic stadium design. 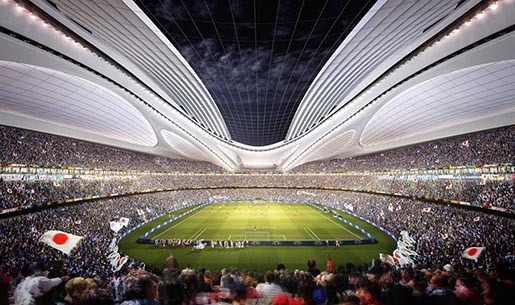 Zaha Hadid’s design proposals feature a retractable roof, natural lighting systems, passive ventilation systems, photovoltaic power generation, geothermal energy use, greywater use and rainwater cooling systems. Built in 1958, Kasumigaoka national stadium hosted the 1964 Tokyo Olympic Games and currently hosts both nationa and international sporting events, including football matches. 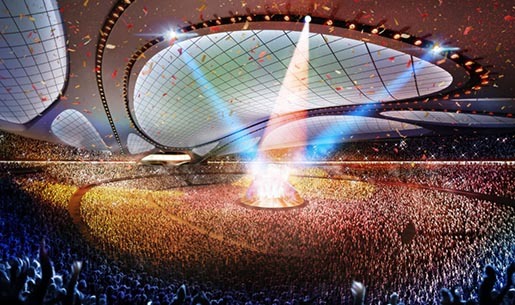 The new stadium will be constructed on the site of the existing 54,000-seat national stadium in Tokyo and is expected to have seating capacity for 80,000 spectators. 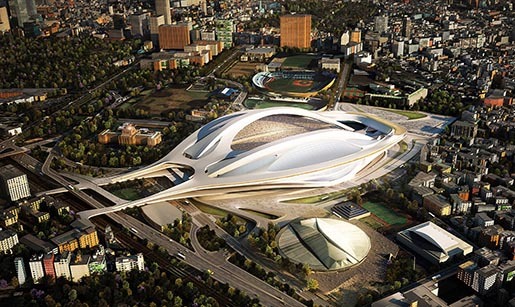 Zaha Hadid was chosen from eleven architectural practices that were shortlisted for the £164,000 competition, which drew 46 entries across the world. Australia firm Cox Architecture came second in the competition and Japan’s SANAA, along with Nikken Sekkei, came in third place.